Wise persistence always pays the one who serves it at least once, but usually twice. The first payoff -- and the most valuable -- is the realization that "walls" are immaterial apart from the resistance that lends them their temporary substance. The second payment comes on the other side of the "wall"... where achievement proves the value of sustained effort. Whenever we find ourselves in some "unwanted" part of ourselves, perhaps reliving an old heartache or caught in the throes of some irrepressible anger, old fear, or unyielding worry, part of this unwanted moment includes our certainty that we're trapped in this condition. And compounding our confusion over feeling ourselves captive in this way are all of the attending negative inner voices. They tell us not only are we hostages of these disturbing states, but that the pain we now feel will be with us forever. Bit by bit we come to accept what we see as the inevitability of our unhappy, captive condition. And should we hear from a still, small, free part of ourselves, "Try once more, you don't belong there in that cell of yourself," from within us rises a chorus of negative voices to drown it out -- a choir constructed from our own past experiences that sings out, "There's no use." So we go to sleep within ourselves, preferring to dream of better times or in the imagining of what we will never know outside of our fitful reveries. But we can wake up! We may awaken from not only the unsatisfying dream-life into which we've slipped, but from the unconscious dream-self that would have us remain there as captives of the lies it weaves. Shattering this dream world -- and its hold over us -- begins with bringing real light into it. This needed new light comes to us, first, in the form of new knowledge -- an insight such as the one that follows into the actual nature of these negative states and the self they capture. 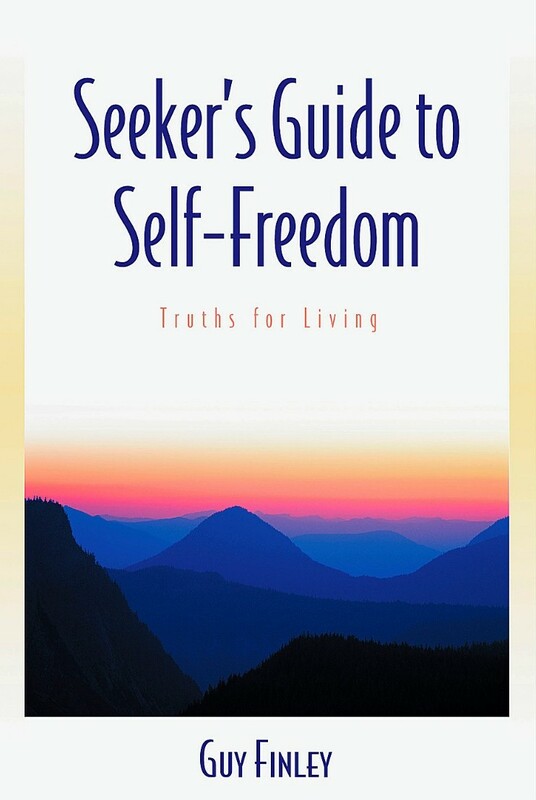 Excerpted From: Seeker's Guide to Self-Freedom: Truths for Living, pages 111-113.